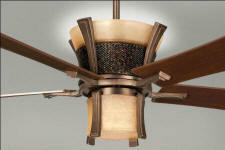 The Akina fan combines a traditional Asian-inspired look with an avant-garde touch. 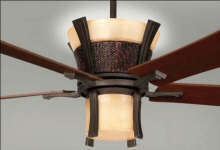 The unique glass shapes are the ideal showcases for the Mood Glow up lighting and the integrated lower light, which may be operated independently with the included remote control. 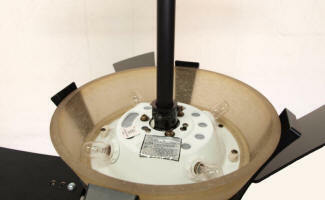 Price includes free shipping and there is no sales tax outside of New Mexico. 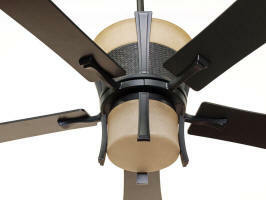 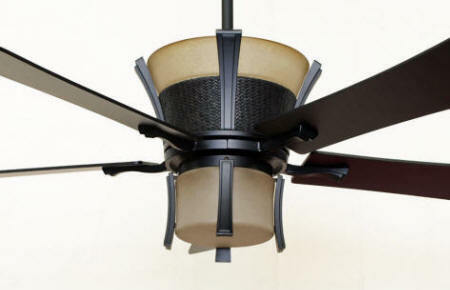 A: Fan blade to ceiling: 13.5"
B: Down Rod - 6"
D: Blade Span - 52"